Personalise your envelopes to create the perfect post for your guests to unwrap. The following envelopes options are available. Wonderful colours to make your invitations stand out in the post. Quality thick envelopes 135-150gsm in a stunning range of colours. Want to add some colour to your envelopes? 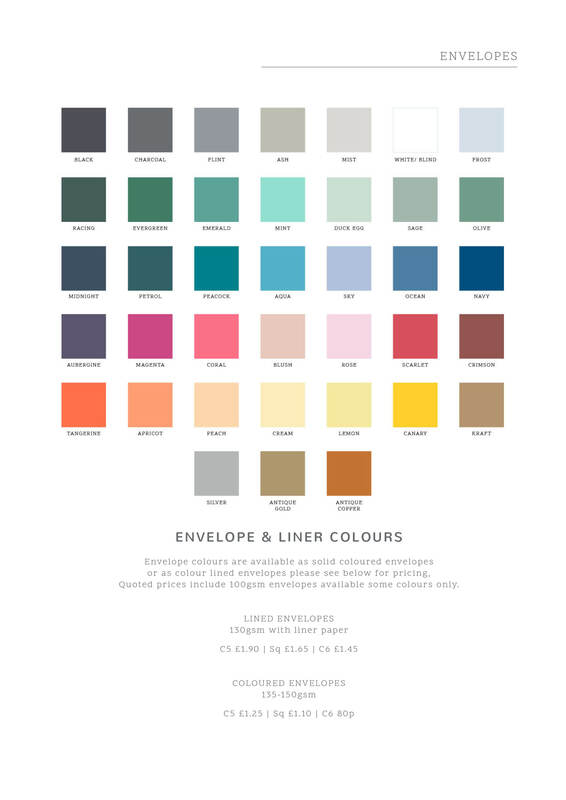 Check out our colour chart for the full range of colours that we can provide as luxury colour lined envelopes. Add printing to your envelopes, RSVP addresses can be added to RSVP envelopes or the back flap of the envelope. Or add your bespoke monogram, motif or logo onto the envelopes to create a unified stationery set.